Is it true that Magnesium, not calcium reverses osteoporosis? I have been diagnosed with osteoporosis of the spine even after taking the recommended dosage of calcium and vitamin D for years. Now my doctor wants me to take the prescription drug for this. I read that if my body is not absorbing the calcium sufficiently, then stop calcium for a few months and take magnesium. Is this the road to reversal or am I taking a risk by stopping the calcium? Comments for Is it true that Magnesium, not calcium reverses osteoporosis? It's more complicated than that.. I'm sorry to hear about your diagnosis and I hope that you seriously look into the risks and benefits of Bisphosphenates for osteoporosis before you take them as there are serious side effects of these osteoporosis drugs. A condition called Osteonecrosis of the Jaw as well as some other unsavory 'side effects' that could cause WORSENING bone side effects over time! So, unfortunately, you have been duped by the 'recommended' dosages of calcium and vitamin D. So, I imagine that you have been taking something like Centrum or One-a-day that has something like 500 to 1000 mg of calcium carbonate in it, which is almost completely not absorbed. Then, the same multivitamin has about 600 to 800 IU's of Vitamin D per day. This is the RDA, so it should protect your bones, right. Wrong. This is such a low dose that many researchers recommend MORE than that for newborn infants. 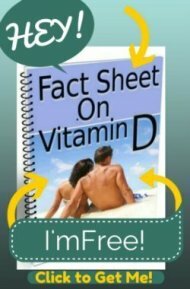 Your REAL Vitamin D Requirements are closer to 3800 to 5000 IU's per day. And if you have never had a Vitamin D Level done, you REALLY need to INSIST that you have one done. When you understand the entire Interplay between Vitamin D, Magnesium and Calcium then you will understand better why all three of them, at the right levels are extremely important. 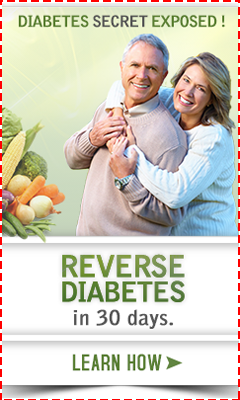 It is a fallacy and a very 'western medicine' approach to use any ONE nutrient to prevent or reverse anything. There are synergistic properties to foods and nutrients that are ALL important. Then there are also trace minerals that help to build bones, and the importance of Vitamin K in building bones is completely ignored, as is the IMPERATIVE NEED to do weight bearing exercises!! But doctors forget about all of this and instead of providing us good advice for HEALTH they wait until we get diseases or 'conditions' like osteoporosis and then give us drugs that cause jaw death in the hope that it will delay bone fractures in your hips and spine. So, now that you have the preliminaries, what do you want to know next?